Sometimes when I’m in a hurry to come up with gifts, I just cover simple unfinished wood or chipboard items that I’ve purchased with the lovely Pion Design paper collections and the papers transform them into beautiful projects. That’s what I love so much about Pion Design – their beauty is a touch of heaven. May your day be inspirational as you craft with these lovely papers. Oh my goodness Tara, you´ve just done it again. This is so gorgeous and I love how you decorated this. Who wouldn´t be just thrilled to recieve such an amazing gift? But I totally agree, these papers are just stunning, and especially this collectioon here is to die for. 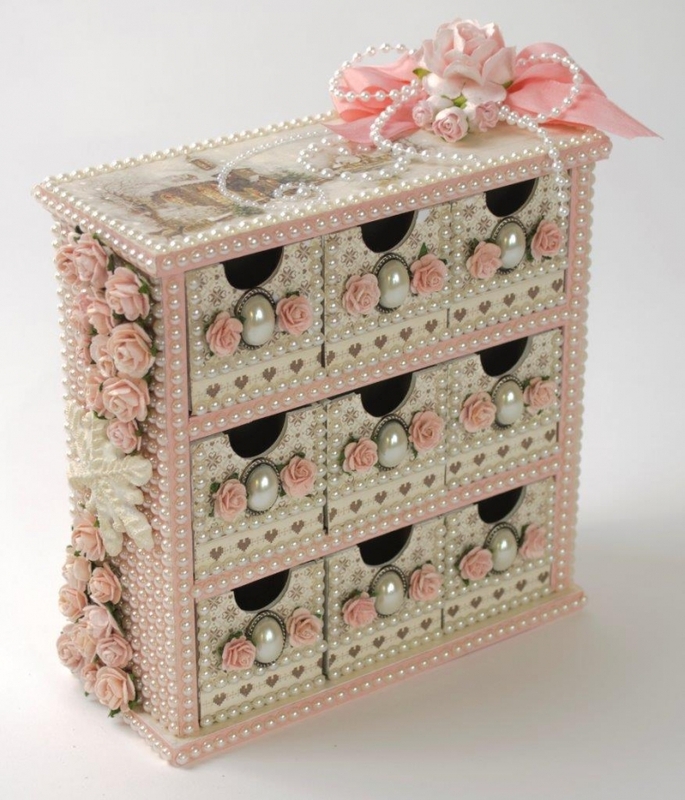 Tara, Tara, Tara….there is nothing more stunning than pink, flowers and pearls!!! You created a gem here, so, so beautiful! I need this on top of my dresser! WOW! Stunning! 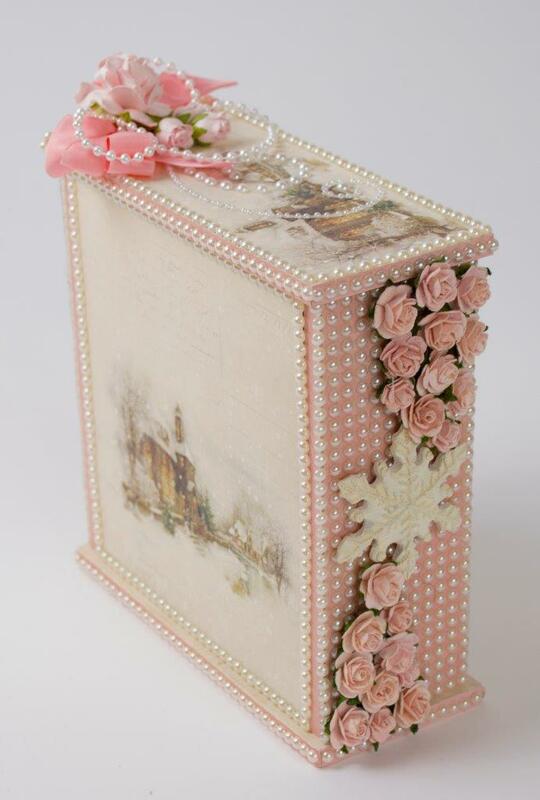 I love all the pink and the pearls. Whoever receives this creation is one lucky gal!!! !